It seems that after a fighter is released, within a year a new version of the game is released with extra players and content. Sometimes a portable version comes out as well. Capcom was notorious with the number of releases of Street Fighter IV, not to mention releasing Ultimate Marvel Vs Capcom 3 eight months after the original. Not to be outdone, Dead or Alive 5 Ultimate has been released about a year after the original, but what new does it bring to the table? By now, you probably know if you are fan of fighting games and a fan of the Dead or Alive series. If you have played Dead or Alive 5 already, then you know many of the elements that are already in Ultimate. In fact, Ultimate seems to be closer to its Vita cousin DOA5+. If you have read Ron’s review of the original DOA5 or my review of DOA5+, then most of what you have read in both of those applies to Ultimate. There are some differences though. [singlepic id=16091 w=320 h=240 float=left]Five more playable characters have been added to the already bountiful roster. They are Momiji and Rachel from the Ninja Gaiden series, Jacky Bryant from the Virtua Fighter series, and veterans of the DOA series Leon and Ein. Three of these fighters specialize in fast light attacks, while the other two are power fighters, which provides a nice balance for the new characters. All told, you have a choice of 29 contenders. Since broadband connections have made playing fighters online feasible, it has become a big part of fighting games. DOA5 does have an online fighting mode, but it didn’t include the ability to play tag matches. Ultimate corrects that omission. Playing as a tag team has been popular with games released in the twelve months, including Street Fighter x Tekken and Tekken Tag Tournament 2, so including the tag matches online gives Ultimate a bullet point already included in these two games. [singlepic id=16066 w=320 h=240 float=right]The tag battles also include a new bit of strategy. Now you can perform a Force Out move that will knock out the current character your opponent is using and force them to use the other character for a short period of time. If you are close to defeating one tag opponent and they switch out, you can do the Force Out and try to get the final blow in. If you are looking to change things up cosmetically, then you’ll have plenty of costumes to dress the characters up in. Some of the DLC offered in the original DOA5 are now unlockable content in Ultimate. For those that aren’t unlockable, you can pay the price and get the DLC by paying for it. It appears that packs of costumes bought for the original work with Ultimate. In all, it is possible to have 231 outfits. Better clean out that walk-in closet. Ultimate does include a brand new tutorial. It is quite comprehensive, and it shows you how to attack, defend, throw, and counter. 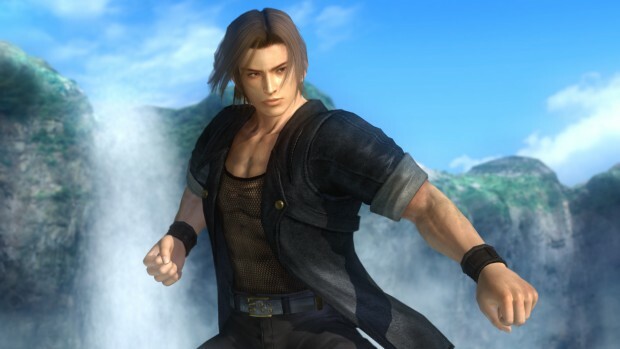 The DOA system is unique among fighters, and if you are just used to playing Tekken or Virtua Fighter there are some wrinkles to account for. Timing is crucial, especially for counters and defense, and the tutorial will even help veterans of the series to learn the entire move set. [singlepic id=16044 w=320 h=240 float=left]If you haven’t played DOA5 and are curious about it, you can download the Core Fighters series from the PlayStation Network. It includes four fighters and most of the modes. You can add more characters for $4 each and the story mode for $15. If you try it and like it, you are probably better off purchasing the full game though. Still, being able to try the fighting system and tag matches for free is not a bad deal at all. Dead or Alive 5 comes in at a discounted price of $40. That’s a great deal for someone who hasn’t picked up the original game yet. If you have the original though, you might want to wait a bit before picking it up unless you are desperate to get the five new characters or play tag matches online. The DOA series has always looked great, and the hidden depth is still there. Whether this is a must buy for you depends on if you already have the original game.